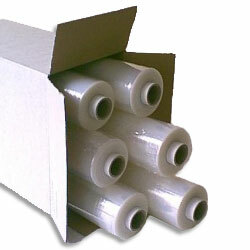 Cast pallet wrap is quiet in use and provides good clarity. Excellent memory so goods stay tight in transit. The standard core size is perfect for use with our hand pallet wrap dispenser.